Pakistani authorities have imposed “reciprocal” restrictions on the movement of U.S. diplomats in the country after Washington took similar measures, the Associated Press reported Friday. A letter sent to the U.S. Embassy in Islamabad says the restrictions will be implemented Friday. The move comes after the U.S. required Pakistani diplomats to get permission five days in advance to travel more than 25 miles from their embassy. “It was unclear what prompted the moves but the developments come weeks after Pakistan barred a U.S. diplomat from leaving the country after he killed a Pakistani motorcyclist in Islamabad. U.S. military attaché Col. Joseph Emanuel Hall, was not arrested because he enjoys diplomatic immunity. Hall is accused of running a red light and killing an Islamabad resident, Ateeq Baig, on April 7. Foreign Secretary Tehmina Janjua allowed the Foreign Office to leak to the media a ministry letter sent to the US outlining the new reciprocal restrictions. The letter said the US embassy and consulates in Pakistan will no longer avail facilities of using tainted glass on official vehicles and rented transport, non-diplomatic number plates on official vehicles, diplomatic number plates on unspecified and rented vehicles; and the facility of biometrically unverified or unregistered cell phone SIMs. It said the facilities of hiring or shifting of rented properties without prior no objection certificate and overshooting visa validity periods and having multiple passports will also not be available to the US diplomats forthwith. 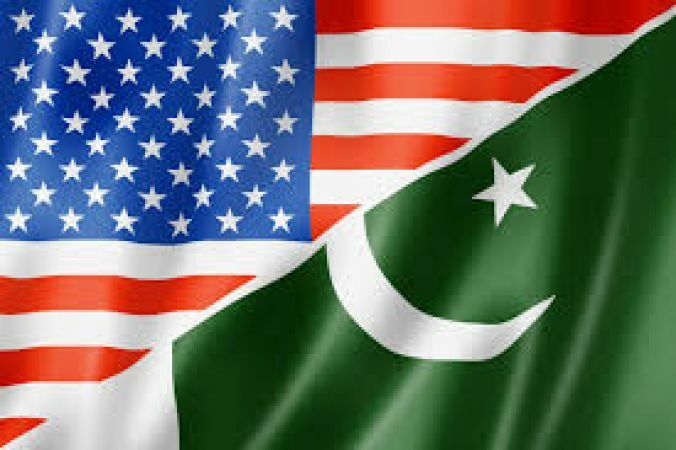 The restrictions imposed on the US diplomats by Pakistan government include strict implementation of Article 27 of the Vienna Convention on Diplomatic Relations that allows scanning of the diplomatic cargo; and enforcement of rules governing interactions between government officials and foreign diplomats. According to BBC, the embassy will also have to seek no objection certificates from the ministry to install radio communication at residences and safe houses. The daily Dawn said the withdrawn facilities once again bring into focus the secretive nature of Pak-US relations. It is believed that the problem repeatedly causing dysfunction in the relations is the opaqueness in the ties. A “safe house” of a diplomatic mission is also unheard of in diplomatic practice. Tellingly, this is the first time for Pakistani diplomats serving in America and their families to face travel regulations. In the past, US governments have practiced such codes on Russian and Chinese officials. Speaking to media at the 27th Pakistan-American Congress (PAC) annual friendship day at the Capitol Hill in Washington DC, Ambassador Chaudhry said the move will further strain the already fraught bilateral relations. “Both countries had recently again come closer to each other and measures like these will only complicate the matters. Any grievances could have been resolved through an appropriate mechanism. This step was quite unnecessary,” he maintained. Chaudhry’s views were echoed by Congressman Donald Norcross, a New Jersey Democrat. Speaking to Pakistani media, he said the important thing is to engage in dialogue. “If we are inhibiting the conversation, I do not think that is a smart thing to do,” he opined. Reporting on the reciprocal restrictions on diplomat, the Nation pointed out that the Pak-US ties have been frosty for several months. In January, the US suspended security assistance to Pakistan under the Coalition Support Fund. State Department Spokesperson Heather Nauert said the US was suspending ‘security assistance only’ to Pakistan. She clarified that Pakistan will be able to receive the suspended funding if it took ‘decisive actions’ against the Haqqani Network and the Afghan Taliban. Pakistan said the money it had received from the US was mainly reimbursements for supporting US-led coalition forces after they invaded Afghanistan in 2001. Pakistan estimated receiving at least $1.5 billion under the CSF during 2017-18. The US only disbursed $550 million during the last fiscal year ending July despite committing $880 million. US President Donald Trump in January claimed giving Pakistan $33 billion in aid. The US says excluding $14.573 billion cost of logistics and aerial support, the approved civilian and security-related aid to Pakistan from 2002 to 2016 was only $18.8 billion. Compared to the actual foreign aid of $18.8 billion, Pakistan says it sustained $123.13 billion losses on account of the war against terrorism since 9/11. According to the Nation, Washington’s economic leverage over Islamabad has significantly reduced since 2014, as it came down to $1.6 billion per annum against the average of $2.3 billion per annum between 2002 and 2013. Meanwhile, the US House Armed Services Committee has called for further cuts to US military aid provided to Pakistan until the country demonstrates a commitment to tackle the insurgency. In his mark-up of the National Defense Authorization Act for fiscal year 2019, the committee’s chairman Mac Thornberry said $350 million of the $700 million allocated to Pakistan under the CSF should be withheld. Amid the strained ties, the Islamabad High Court (IHC) ruled on Friday that US Defense and Air Attaché Colonel Emanual Joseph does not have absolute immunity. The court also granted two weeks to the Ministry of Interior Affairs to decide over placing his name on the Exit Control List (ECL). The decision was announced as the IHC read out its earlier reserved verdict over the killing of an Islamabad resident, Ateeq Baig, after he was hit by a vehicle driven by Joseph last month. The diplomat’s vehicle ran a red light and rammed into a motorcycle in the federal capital on April 7, killing Baig on the spot and injuring another. The diplomat was let go by police after registration of a case. 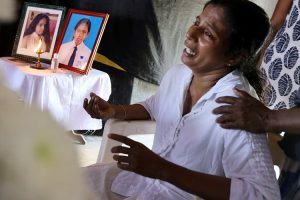 The deceased father filed a petition that Joseph’s name should be included in the ECL. He had taken the stance that US diplomat, while intoxicated, hit his son who died on the spot. In another development in the case, one of Joseph’s security officials, was also arrested on the orders of Assistant Inspector General of Islamabad Police, Asmatullah Junejo. The security official, Taimur, was arrested for trying to help Joseph flee from the Police Station. Arrest orders were also issued for all other officials involved in trying to help Joseph flee.